It’s a simple goal, but achieving it in the midst of trade show crowds and competitors is a unique challenge. The floor is set to show off the best and brightest in the industry, and your brand has one shot to break through. How do you do it? While tools and tactics may vary, the key to tradeshow success is to stop worrying about your brand’s exhibit and start building an experience. Invite people to have a personal encounter with your brand – one that blends education and entertainment to foster excitement about your products and services. 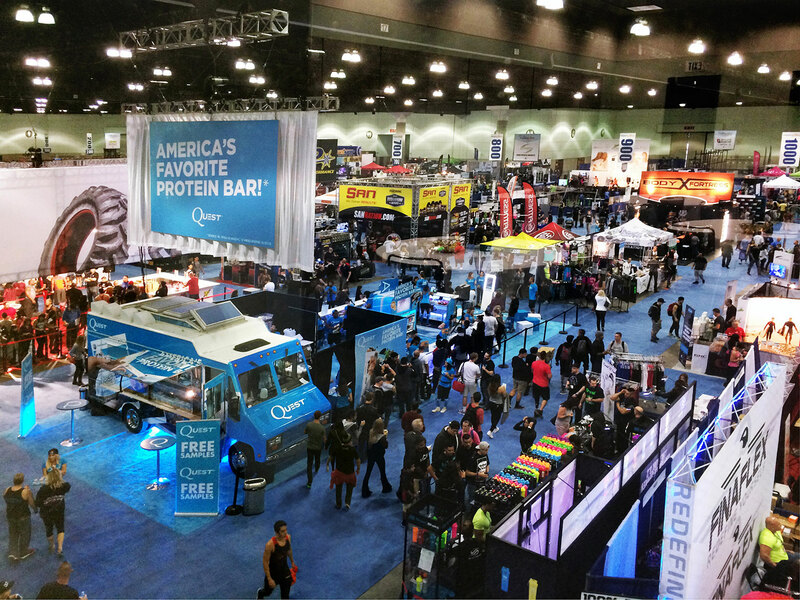 The first priority in a trade show environment is getting people to stop and engage with your activation. Consider the appearance of your booth, from the colors and lighting to displays and overall environment – would you want to spend time there? Be sure the answer is yes, then add welcoming elements such as refreshments or a place to rest. When people are comfortable, they’re more willing to communicate and spend time with your team while connecting with your brand. Tradeshow environments give you a chance to tell people who you are and what you do. Make this communication as clear and concise as possible. Consider what made your current customers do business with you, and reflect those characteristics through simple displays, presentations and interactions. Respect that people have often limited time on a trade show floor, and they don’t want to spend it reading. Instead, let your staff educate the crowd through conversations or quick question-and-answer sessions. Great booths don’t just grab people’s attention. They capture people’s imagination. With hands-on interactions, people can see themselves using your product or services, and picture your brand as a part of their lives. Give people the opportunity to put your brand to use, learn more about it, and share it with others through strategic interactive elements like demonstration stations, tablet interactions, social media connections and more. Even in a crowded expo hall, you have an opportunity to surround your guests with branded elements and thoughtful environmental touches. Leverage fabrics, display panels, digital activations and product arrangements to drown out the noise of competitors. 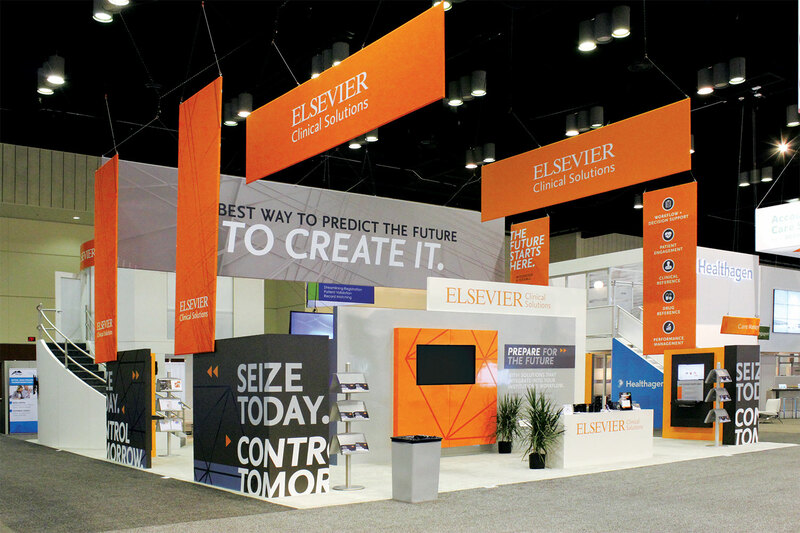 With eye-catching booth design, you can limit distractions and ensure a more engaging guest experience. Trade show crowds want to see things they’ve never seen before, and technology such as augmented or virtual reality can help harness spectacle to make the sale. Consider the digital technologies available, and use them to tell your brand’s story in a memorable way. Strategy and execution are key – lights and wires can’t sell a product on their own – but a clever and creative application is sure to attract an audience and build buzz beyond your booth. Once you make a connection with potential clients or customers, build on that experience with integrated data capture and follow up. Reach out to contacts immediately after the show, and develop those relationships to build your business and make a bigger impact on your bottom line. If you’re ready to make your next trade show interesting, reach out to Switch. We can help you plan, design, install and execute an exhibit that isn’t just seen and heard, but truly experienced.